It is sad to report that Vic Dadd passed away last week. There were 3 did not weighs each receiving 1 point. 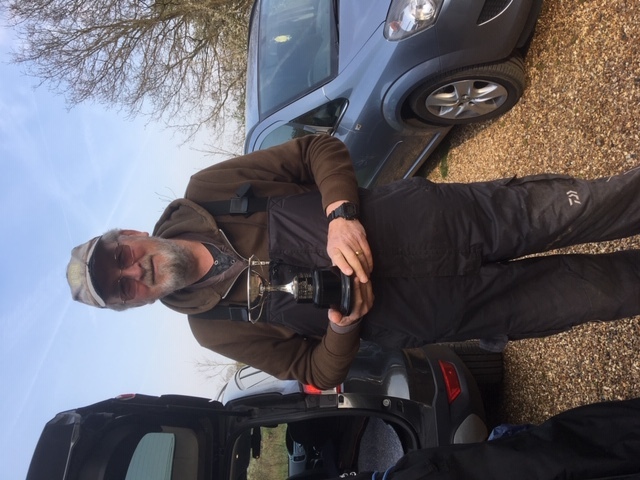 Rob Rowbotham with the concessionary trophy for his duo tench win at Rook hall farm. A mixed day of weather and catches but still a brilliant fishery. There were 10 did not weighs. A shame really as the last match on the fixture list. The new fixture list match will be Rook Hall Farm 9th April 2019 concessionary cup. Next week match is at Heybridge Basin the last match of river season. 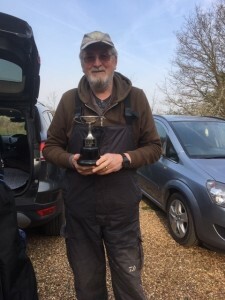 Best fish 7oz 8dms roach Rob Rowbotham. Venue next week Papermill Lock. Best fish Pat Mott crucian carp 1lb 14ozs. Best fish John Christensen 8ozs Roach. Next week Heybridge Basin instead of Tesco’s until car park is sorted out. Next Tuesday we will be fishing Hoe Mill and not Tesco’s. A thank you Lynn for the portions of Christmas cake all round. A superb Chelmer day considering a 2 degree freeze with roach taking hemp and tares. There was 5 did not weighs. The agency has done a good job clearing bankside and repairing fences. The 5lb weighing system worked excellent. There was 5 did not weighs each receives 1 point. Concessionary match next week is Bog Grove. Not a bad day considering quick change of weather. Certainly our worst day ever. 16 fished with not a single bite. A reasonable day considering the gale force winds. Next week we are at Slough House. It will be a full house. We were looking forward to this one but it did not happen, the water was crystal clear very bright. Next match Slough House farm. A reasonable day cold start then the sun came out and so did the fish. Next week 16th Oct 2018 venue Tesco’s we have a working party this Thursday to clean up and make swims. Not a bad day considering the strong winds. Best fish a roach 10ozs 8dms caught by Les Drury. Lakelands next week should be Wood Lake.